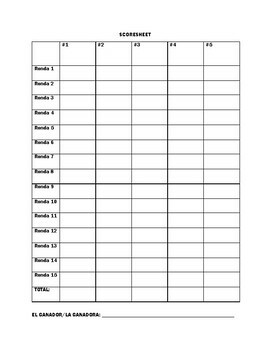 This is a review game for the textbook Realidades 2 Chapters 1A- 5A. This reviews almost all of the vocabulary words for this chapter. 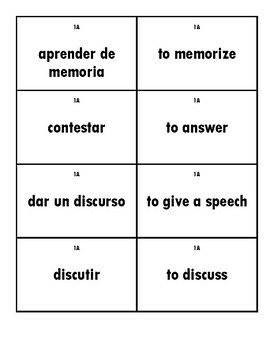 Cucharas is a fun game for students to interact with each other and practice vocabulary. Click here for the 5B-9B Cucharas Bundle! 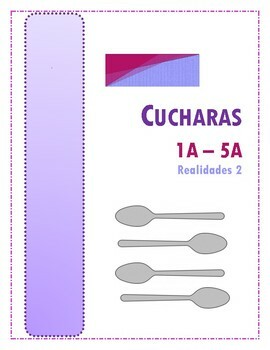 Click here for the 1A-9B Cucharas Bundle! Click here to visit my store for individual chapters of Cucharas!